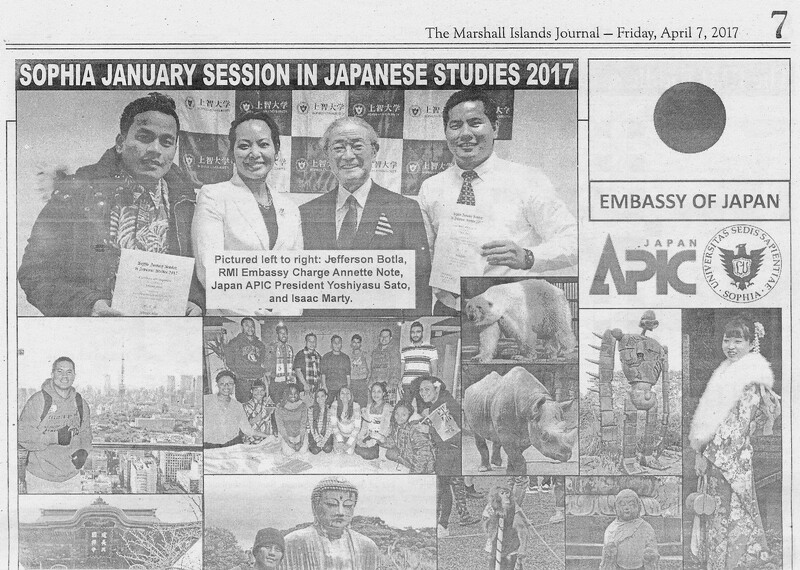 「Pacific Islands and Caribbean Nations Student Invitation Program」 was featured in The Marshall Islands Journal. The program commenced in 2015 with the cooperation of Sophia University, and has taken place two times to date. Every January the program invites eight students from the Caribbean and Pacific nations, respectively, to Sophia University with the intent of introducing Japanese culture through classes and fieldtrips during the students’short-term stay. 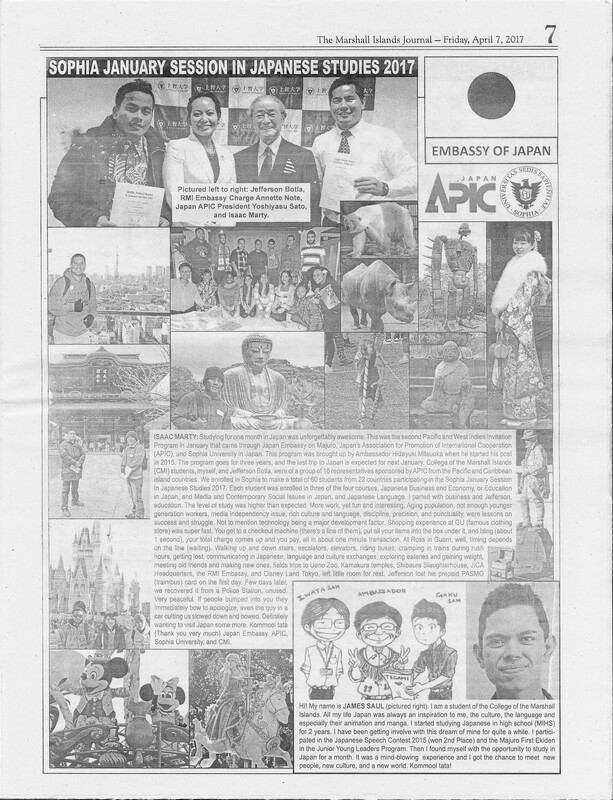 The editor of the local paper of the Marshall Islands, The Marshall Islands Journal, Mr. Giff Johnson was a participant of the 2015 Pacific Islands Journalist Invitation Program.